The case of a Sydney chemical distribution company has been finalised in the District Court of NSW, with a penalty of $60,000 imposed following a workplace explosion and subsequent fire that injured two men in February of 2015. Two employees of Auschem Pty Ltd were decanting chemical thinners via a gravity feed from one intermediate bulk container to another because the original vessel was leaking. Using a forklift to raise the IBC, the container was tilted forward to allow the flow of liquid into the receiving IBC, which had an earth cable attached to it. The contents of the vessel on the forklift began moving as the process was instigated and as the receiving IBC was filled, the contents were glowing and the container started to expand. The valve to the leaking container was opened, and within a second of this an explosion occurred, and a fire started, caused by electrostatic ignition due to the flow of chemicals between the two containers. The incident caused immediate damage to the forklift and IBCs, and the subsequent fire damaged the area around the event. The explosion left one of the men with burns to his stomach, shoulder, right arm and hand. His right finger was also fractured. The other man suffered cuts to his head that required stitches. Judge David Russell found that the offender’s level of culpability was high, following a SafeWork investigation, which revealed a lack of workplace procedures about how best to safely transfer thinners between containers. 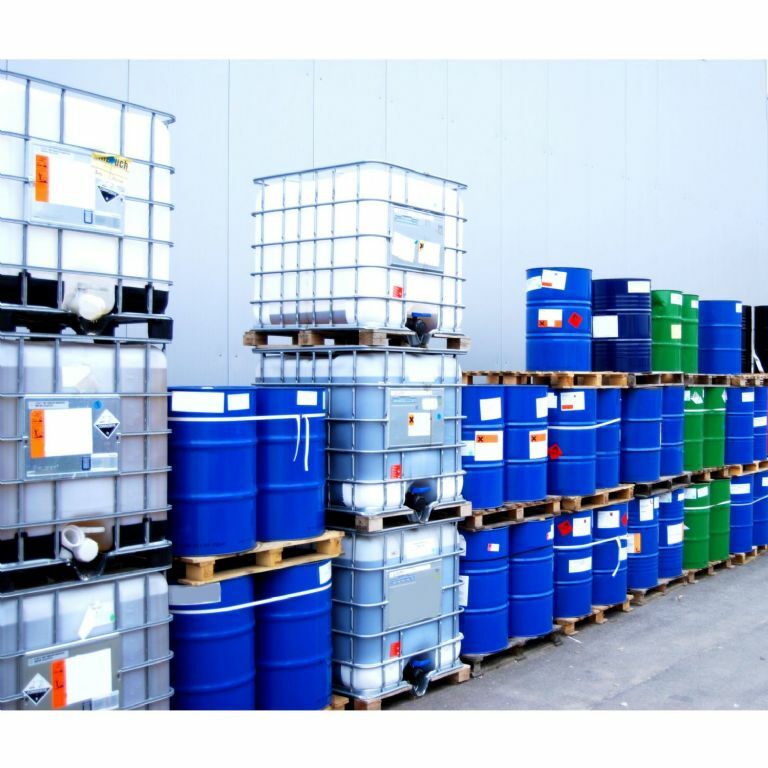 He said the risk was visible, identifiable and foreseeable; and the existence of the risk was known to the offender and identified in Australian Standard AS/NZS 10120 and Safework’s Code of Practice: Managing Risks of Hazardous Chemicals in the Workplace. The judge also noted that the systems of work at the site were unsafe, and workers were not provided with information, instruction, training or supervision. He said the cost of overcoming the risk would have been insignificant when weighed against the effect of an explosion. He imposed a fine of $80,000, reduced by 25 per cent to reflect the plea of guilty. Auschem was also ordered to pay the prosecutor’s costs of $31,000.